n the remote Welsh mountain town of Gwytherin lies the grave of Saint Winifred. 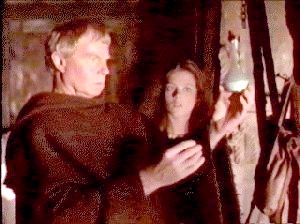 Now, in 1137, the ambitious head of Shrewsbury Abbey has decided to acquire the remains for his Benedictine order. 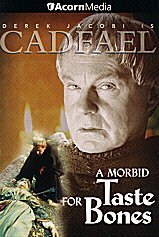 Native Welshman Brother Cadfael is sent on the expedition to translate and finds the rustic villagers of Gwytherin passionately divided by the Bendictine's offer for the saint's relics. Canny, wise, and all too worldly, he isn't surprised when this taste for bones leads to bloody murder. The leading opponent to moving the grave has been shot dead with a mysterious arrow, and some say Winifred herself dealt the blow. 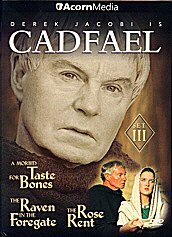 Brother Cadfael knows that a carnal hand did the killing, but he doesn't know that his plan to unearth a murderer may dig up a case of love and justice, where the wages of sin may be scandal -- or his own ruin.